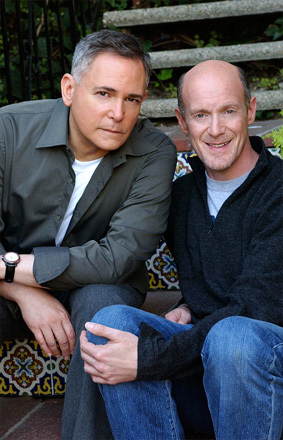 Craig Zadan and Neil Meron’s feature film, television, and theater productions have earned a total of six Academy Awards, five Golden Globes, 22 Emmy Awards, two Peabody Awards, a Grammy Award, six GLAAD Awards, a Critics’ Choice Award, four NAACP Image Awards and two Tony Awards. After successfully producing the 85th Academy Awards (Seth MacFarlane, host), which garnered over 40 million viewers in the U.S. alone, they were invited back to produce the 86th Academy Awards (Ellen DeGeneres, host), which boasted a U.S. viewership of 45.4 million, making it the highest rated Academy Awards of the Century. 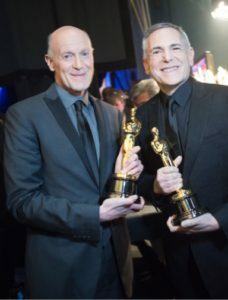 In 2015, they produced the 87th Academy Awards (Neil Patrick Harris, host), making Zadan and Meron the first executive producers in sixteen years to have produced three consecutive Oscar broadcasts. of “Bonnie & Clyde.” The program was also a milestone broadcast, marking the first prime-time scripted show to air simultaneously on three separate networks: A+E, History and Lifetime. 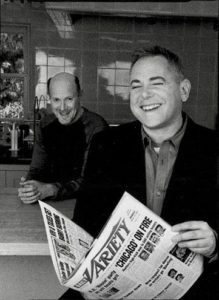 Zadan and Meron’s motion pictures include: “Hairspray” (John Travolta), “The Bucket List” (Jack Nicholson, Morgan Freeman), “Footloose” (Kevin Bacon, the original… and the remake) and the Oscar-winning Best Picture, “Chicago” (Renee Zellweger, Catherine Zeta-Jones, Richard Gere). Their television projects, which have accrued 148 Emmy nominations, include: “Gypsy” (Bette Midler), “Cinderella” (Whitney Houston, Brandy), “Annie” (Kathy Bates), “The Music Man” (Kristin Chenoweth, Matthew Broderick), “Life With Judy Garland” (Judy Davis), “Martin & Lewis” (Sean Hayes), “Serving In Silence” (Glenn Close, Judy Davis), “The Beach Boys,” “Brian’s Song,” “The Three Stooges,” “The Reagans” (Judy Davis, James Brolin), “Steel Magnolias” (Queen Latifah), “A Raisin In The Sun” (Sean Combs), “Flint” (Queen Latifah), the Golden Globe-nominated TV series “Smash” and the hit series “Drop Dead Diva”. On Broadway, they produced the Tony-winning “How to Succeed in Business Without Really Trying” starring Daniel Radcliffe (followed by Darren Criss and Nick Jonas) as well as the Tony-winning “Promises, Promises” starring Sean Hayes and Kristin Chenoweth. Zadan and Meron signed a deal with the Shubert Organization to develop and produce new plays and musicals for the stage. They also produced a concert version of “Bombshell,” the fictional musical from their series “Smash,” as a charity benefit for The Actors Fund. Upcoming projects include “Hair Live!” and Aaron Sorkin’s “A Few Good Men Live!” for NBC as well as a Broadway production of “Some Like It Hot” (Marc Shaiman, Scott Wittman, Matthew Lopez, directed and choreographed by Casey Nicholaw). Upcoming features include “Hans Christian Andersen” for Fox 2000 written by Stephen Schwartz and David Magee.